Lowest cost of operation: State-of-the-art hydraulics with best-in class efficiency combined with IE3 motors mean the lowest possible operating costs. Long service life: Thick sheet metal casing, high-quality bearings and stainless steel guarantees a long service life. 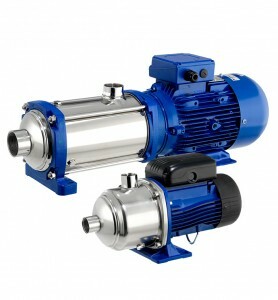 Low noise level: High-efficiency hydraulics, motor and thick sheet metal pump body keep the noise level to a minimum. e-HM residential:�reliable water supply for most buildings; from family houses up to 10 floor apartment buildings.